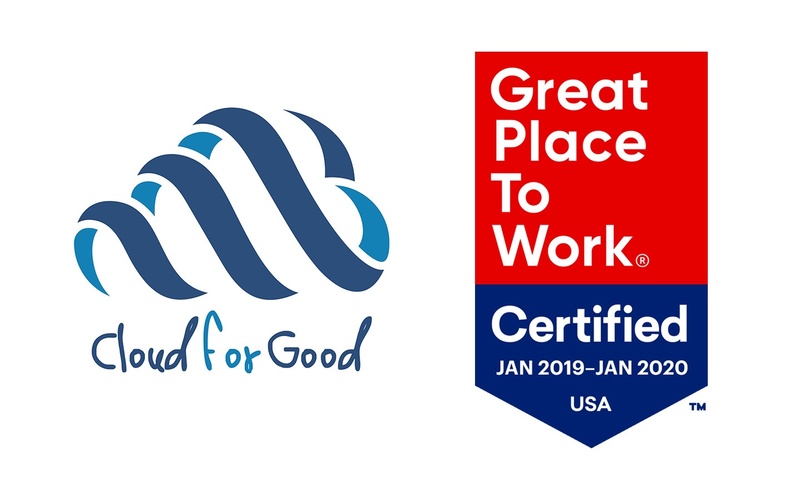 Asheville, North Carolina – January 28, 2019 – Cloud for Good has again earned Great Place to Work Certification for the 5th year in a row. Employees responded to more than 60 survey questions anonymously rating their employers. “It’s an honor to see Cloud for Good recognized as a 5-time certified Great Place to Work. Since the beginning, we’ve thrived on the idea that in consulting, our biggest asset is our people. The survey shows prominently that our employees feel challenged, rewarded and celebrated. Beyond this amazing certification, this survey also provides our leadership team with a detailed understanding of the data behind our employee experiences, including our strengths and opportunity areas, ultimately giving us the tools to grow into an even better place to work in 2020,” shares CEO and Founder, Tal Frankfurt. Great Places to Work stand out for creating great workplaces for all employees, regardless of position or other personal characteristics. Prioritizing their Care Team and Diversity & Inclusion Team, comprised of employees from all areas of the company, have enabled Cloud for Good to expand on the sense of community, connectedness and positive environment. Being a 100% virtual company can create sense of community challenges, yet Cloud for Good makes it a priority to nourish relationships and ensure the entire team feels connected to one another just as they would in a traditional office environment. “Knowing that 98% of our employees reported that people care about each other, is a strong statement of the culture we created and constantly evolve. We are a group of people who are passionate about each other, about the technology we implement and about our clients’ missions,” said Will Nourse, Vice President of Operations. Cloud for Good is growing! You can find our open positions here. Cloud for Good (www.cloud4good.com) is a leading cloud consulting firm that helps nonprofit organizations and educational institutions create more value with technology. Founded in 2010, Cloud for Good is a certified B-Corp, a certified Great Place to Work and a Salesforce.Org Premium Partner. Collaborating with nonprofits and higher educational institutions, Cloud for Good has helped organizations achieve results, innovate, and transform their operations. Read their new book: “A Great Place to Work for All: Better for Business, Better for People, Better for the World.” Learn more on LinkedIn, Twitter, Facebook and Instagram.